If you have a small garden deciding which tree to plant can sometimes be difficult. Any tree you do choose should look good throughout the seasons – rewarding you with spring blossom, fruit and great autumn colour. 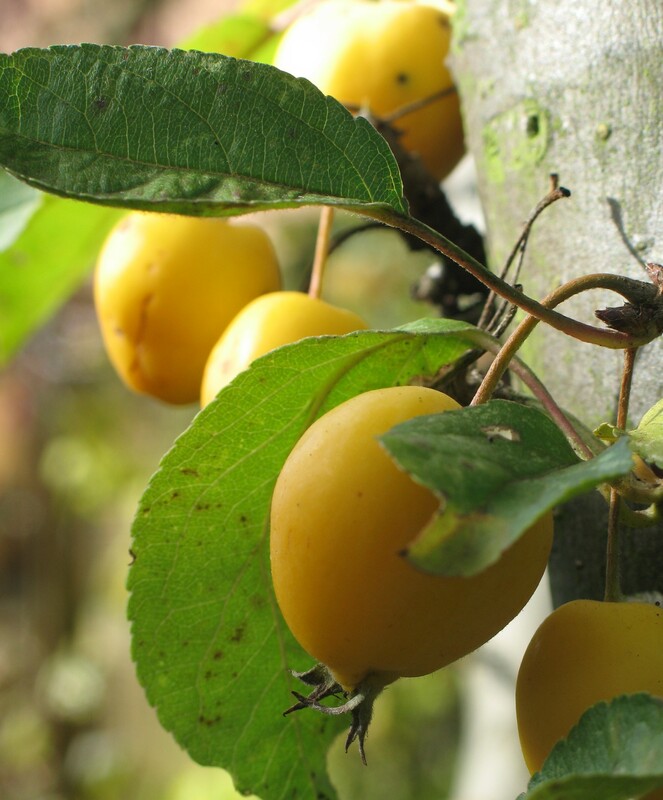 Malus do all of these things and one of my favourites to use as a garden designer is Malus x zumi ‘Golden Hornet’. It is a beautiful ornamental tree with a strong upright tapering shape that likes full sun. In May and June it is covered with masses of pretty cup-shaped pink tinged flowers. These are then followed in the autumn with a profusion of golden yellow crab apples. If you’re lucky and it’s not too cold the apples can stay on the tree right up till Christmas otherwise the blackbirds will feast on them! Awarded a RHS Award of Garden Merit.